Neurotherapies - Dr. Vicki Veroff, Ph .D. The Alpha-Stim® has demonstrated efficacy in treating anxiety, stress, depression, fibromyalgia, insomnia and headaches. 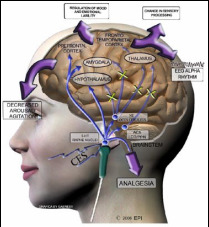 Using cranial electrotherapy stimulation (CES) technology, a very mild electrical signal is delivered via ear clips to the brain, resulting in greater calm, reduced stress and increased alertness. Although the exact mechanism is unclear, Alpha-Stim® technology seems to amplify activity in some neurological systems, and diminish activity in others. Note that use of the Alpha-Stim® is most effective when accompanied by regular therapy. 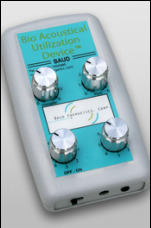 The BAUD offers a unique treatment for anxiety, "sticky" emotional issues, urges/addictions and neuropathic pain. This neurofeedback tool, invented by ﻿Dr. 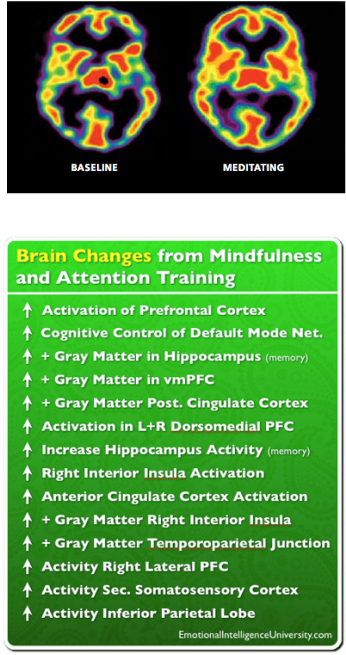 Frank Lawlis,﻿ is an FDA-cleared and registered device that utilizes specially designed sound frequencies and waveforms to quickly stimulate neural plasticity (changes in the brain). Typically, changing negative feelings or compulsions can be extremely difficult, since the source is often unconscious and the patterns tend to be repetitive. Over many years, the brain areas stimulated can become stuck in a sympathetic, aroused response state. Attempts to change are so difficult because it means fighting this neural "programming." A typical BAUD session lasts from 15-20 minutes. Immediately after a session, many clients report feeling marked improvement in issues that have plagued them for years, even a lifetime. And, while individual results vary, the relief experienced from just one session can be enduring, with increasing benefits after each subsequent session. actually lead to neuroplasticity and long-lasting change.